For Both the "College-Bound" and the "Upward-Bound"
The Fraffie Welch Scholarship & The “Enhanced Scholarship” are for students seeking a multi-year college degree and are awarded on the basis of need. 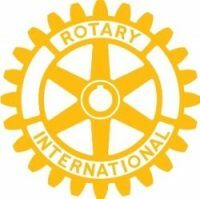 What is Rotary & What Does It Do? Rotary International is a global network of 1.2 million neighbors, friends, leaders, and problem-solvers who come together to make positive, lasting change in communities at home and abroad. Solving real problems takes real commitment and vision. For more than 110 years, Rotary members have used their passion, energy, and intelligence to take action on sustainable projects. From literacy and peace to water and health, Rotarians are always working to better our world, and stay committed to the end. Our motto is “Service above Self”. The “2nd Chance Scholarship” for those seeking to improve their employment by enrolling in a certificate course or similar program. 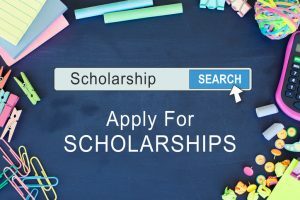 Why Different Types of Scholarships? The Fraffie Welch Scholarship and The Enhanced Scholarship are for students seeking a multi-year college degree. The 2nd Chance Scholarship is for those who want to improve their employment with a certificate course or similar studies. Need a scholarship? Students receive a scholarship that's going to continue to stay with them through their degree course. The Rotary Club of Marblehead Harbor has been providing scholarships to local students who have demonstrated a passion and desire for a good education but may lack some of the funds. The Scholarships' programs also provides additional money for additional years with demonstrated good grades. Feel like you're stuck in a dead-end job without a future? Want an opportunity to break-away, learn a new skill but lack the funds to go back to school? You May Have That Opportunity! The Rotary Club of Marblehead Harbor has been helping people learn new skills in certificate programs such as computer skills, trades, healthcare and many others. Inquire today!